Curious about the popular option when it comes to aligning crooked or crowded teeth? We know you have heard about ceramic braces and now you want to know more. 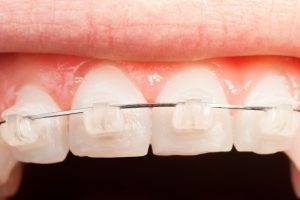 We have listed down all you think you need to know about ceramic braces and the pros and cons too. To understand ceramic braces, just think of your regular, traditional metal braces but replace the metal brackets with clear ceramic. These clear, ceramic brackets are attached to your teeth and threaded altogether by a clear wire for teeth alignment. The clear ceramic camouflages to your teeth, making it less noticeable compared to traditional metal braces and a popular option for adults. This is the way to go if you want to attain an attractive smile without making it so obvious. Ceramic braces are effective when it comes to treating severe misalignments, and all you have to do is get a consultation with your orthodontist to get started. Now, it’s not all rainbows and unicorns when it comes to ceramic braces. You have heard about the upsides – effective treatment, subtlety, and attractiveness (compared to traditional ones). Now, the only downside – you have to make an effort to keep it clear. You see, ceramic braces are designed to match the color of your teeth. It is possible for the ligatures (tiny elastics that hold the wire to the brackets) to become slightly discolored. But don’t worry! This can be prevented if you brush your teeth well, prevent highly pigmented foods, and forego smoking. In case it becomes stained, you can always ask your orthodontist for a new set of ligatures. Now that you know more about ceramic braces, schedule an appointment with your orthodontist now. 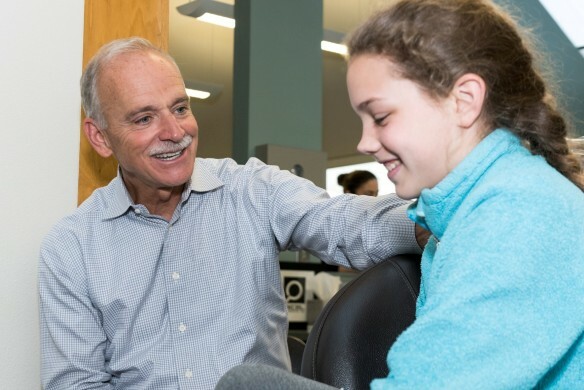 For more information, check out how you can care for your braces.